Skadden is delighted to announce that Chiann Bao, Asia Pacific Counsel in the Skadden Hong Kong office, has been appointed to the Council of the Hong Kong International Arbitration Centre (HKIAC). Chiann previously served as the Secretary-General of HKIAC from 2010 until 2016 before joining Skadden on 30 August 2016. “We’re delighted that Chiann has been appointed to the HKIAC Council, and will be using her fund of knowledge and experience to assist an institution with which she has such a long association and to which she has given such distinguished service” said Rory McAlpine, Skadden’s Head of Asia Disputes. 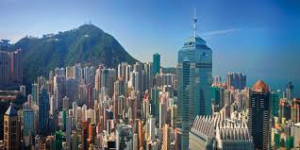 HKIAC also announced three other new members to its Council Board, in addition to Chiann: Danny Mok, an arbitrator; Anthony Houghton SC, Barrister and Senior Counsel; and Briana Young of Herbert Smith Freehills. Brexit legal challenge makes ground in the High Court Acquisition Transactions And The Limits Of Labour Laws In India.